Every successful nation’s story is written by individuals, brands and organisations that dare to dream and lead. They’ve worked relentlessly for years and have placed India on the world map. 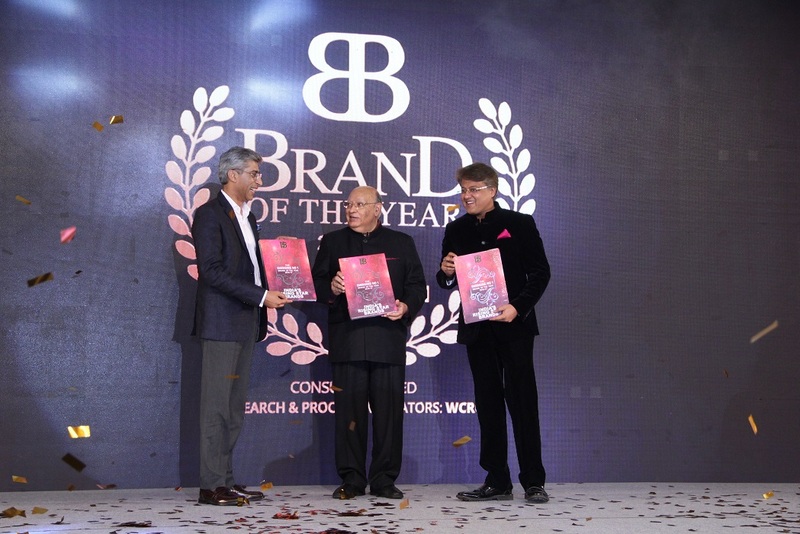 At a glittering ceremony in Mumbai at Hotel Sahara Star, World Consulting and Research Corporation (WCRC) honored these brands and individuals. WCRC’s Brand of the year – Emerging No. 1 is a research based listing of the top 50 emerging brands in India. ibrands360 conducted a consumer perception survey on “The Emerging Brands of India’s”. The survey was initiated by generating a list of 1000 brands from 15 categories, comprising more than 50 sub-categories which were shortlisted to 300 after a rigorous elimination process and further categorized as Automotive, Finance, Consumer Durables, Education, Energy & Power, FMCG, Food & Beverage, Healthcare, Hospitality, Infrastructure, Media & Entertainment, Retail, Services, IT & Telecom and Lifestyle. A nation wide in-depth consumer survey was done across major cites of India, followed by jury scoring to decide the top 50 brands for the Emerging Brands of the Year listing. This prestigious platform also witnessed the announcement of India’s Most Trusted Financial Brands 2016. India’s Most Trusted Financial Brands is a research based list for Financial Brands in India for 2016, based on Promise, Growth, Trust and Brand Value of an enterprise. A total of 200 Financial Brands have been considered for research and reduced down to 50 final shortlisted brands on the basis of above-mentioned parameters. The night continued with the much-coveted Marketing Mastermind Awards. Brands Illustrated Marketing Masterminds 2016 is a tribute to the most talented marketing chiefs who are fortifying their brands valuation by multiple folds, based out of primary research with marketing chiefs through one on one interview and evaluation through other research processes. The recipients included Chandrashekhar Radhakrishnan (Sr. VP Nestle), Vipul Prakash (CMO – PepsiCo), Manmeet Vohra (Director Marketing Tata Starbucks), Sandeep Kulhani (Sr. VP – Titan), Jitin Paul (CMO – Bharti Axa), Anant Pejawar (ED Marketing, – SBI Life Insurance), Manmeet Vohra (Director, Marketing – Tata Starbucks), Kartik Kalla (EVP – Radio City), Debasis Sarkar (Marketing Head – Cipla), Saumitra Prasad (CMO Kokuyo Camlin), Bedraj Tripathi (VP – Godrej Interio), V.S. Mehta (VP – Donear ), Rajesh Nambiar (CMO- Birla Sun Life), Siddharth Mukherjee (Director, Marketing – Modelez ), Shabnam Panjwani (CMO Edelweiss Financial Services), Rajesh Jindal (CMO Amaron ), Prashant Pandey (EVP Marketing GSK), Rohit Dube (CMO Valvoline Cummins), Rachna Prasad (CMO Oxygen), Deba Ghoshal (VP Volats ), Alpana Sarna (Head Marketing Singer) Rajesh Jindal (CMO Amara Raja Batteries Ltd) to name a few. Singer India and Izarra partnered with WCRC & First Step for the cause of girl child education and women empowerment. The elite gathering exchanged notes and numbers, as they discussed their visions and ideas over a lavish spread of delectable food. The evening went on till the wee hours, when the winners and participants finally decided to head home. But not without their trophies and the will to continue making India a better place!